Showcase your favorite items or offer your guest a chic seating option with the Wooden Square Garden Seat by Zuo. 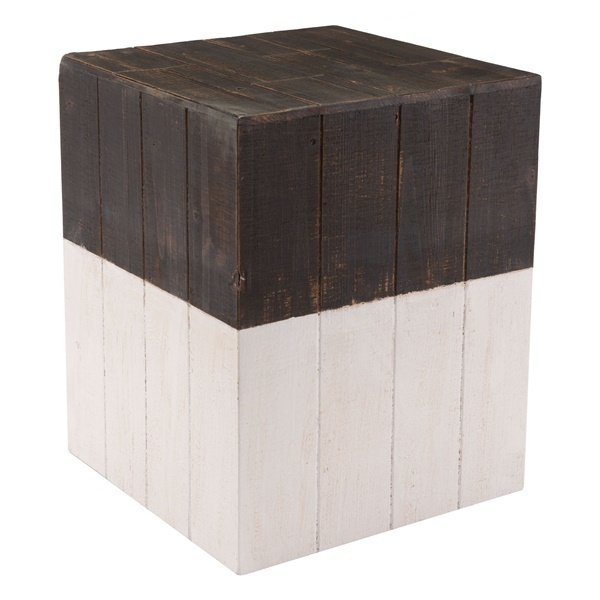 Its ultra strong wood construction is finished with brown and white paint and topped off with a distressed, weathered finish to create a vintage, rustic vibe. Whether you use it in your bedroom, living room, pool area, deck or patio, you will add instant elegance to your space.